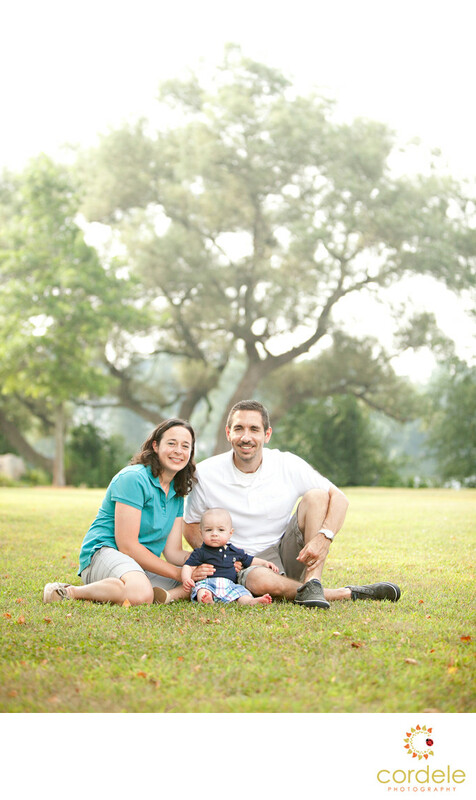 A family photoshoot at the Wakefield lake of one of my former brides and grooms. The fun thing about this couple is they are one of the 7 couples I photographed from the same family. This is the sister of the sister that found me back in 2005. I photographed her, her sister, her brother, and their cousin, and then their cousins sister and then their cousins friend and then a friend of a friend. Talk about referrals because they LOVED their photos. I love this photo because of the color of the light and the tree behind them. Their little boy was so good during this shoot and was happy to get his photo taken!